“Anyone who pays attention to the popular press knows that the new media will soon make books obsolete. But predicting the imminent demise of the book is nothing new. At the beginning of the twentieth century, for example, some critics predicted that the electro-mechanical phonograph would soon make books obsolete. Still, despite the challenges of a century and a half of new media, books remain popular, with Americans purchasing more than eight million books each day. In How Books Came to America, John Hruschka traces the development of the American book trade from the moment of European contact with the Americas, through the growth of regional book trades in the early English colonial cities, to the more or less unified national book trade that emerged after the American Civil War and flourished in the twentieth century. 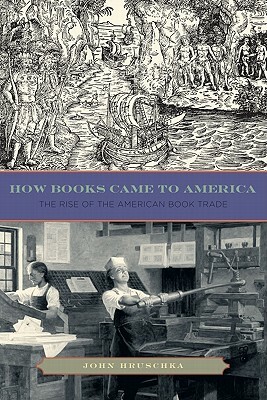 He examines the variety of technological, historical, cultural, political, and personal forces that shaped the American book trade, paying particular attention to the contributions of the German bookseller Frederick Leypoldt and his journal, Publishers Weekly.